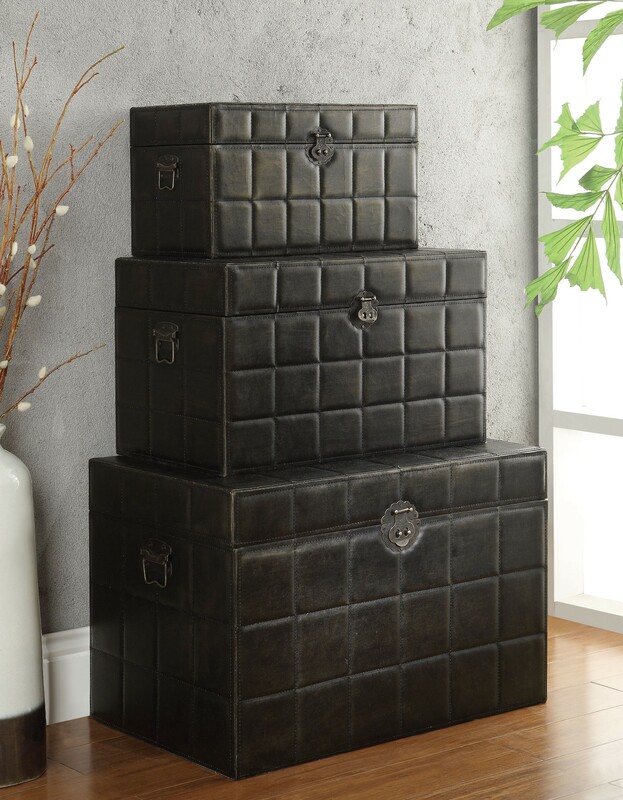 Wrapped in a dark brown leather-like vinyl, this 3 piece storage trunk set offers plenty of storage space and a simple design. 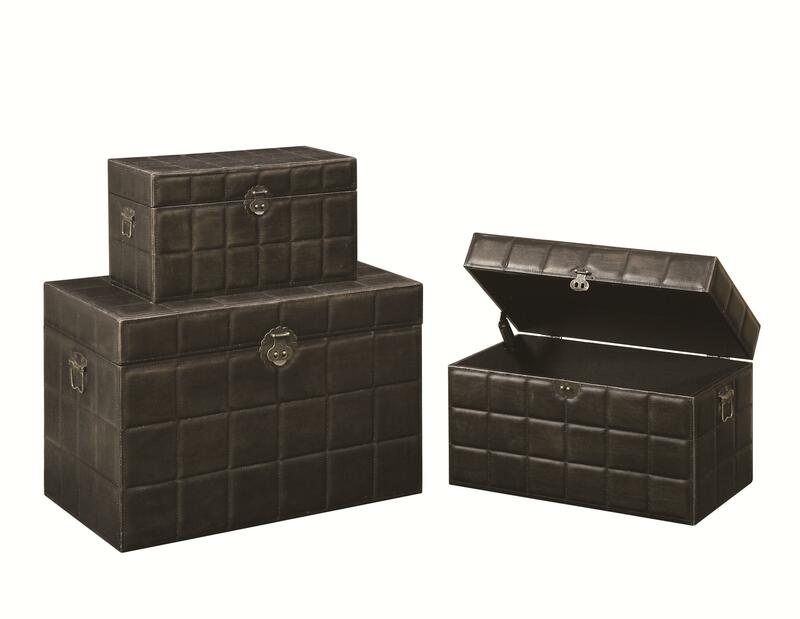 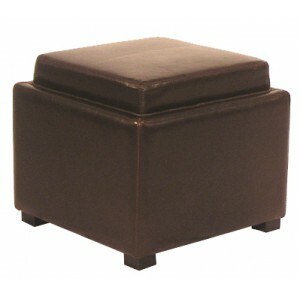 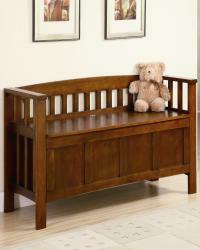 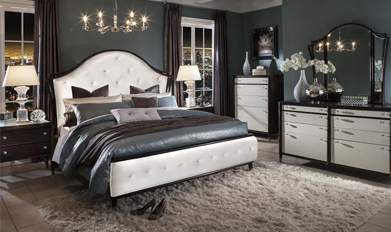 With accent stitching throughout, decorative closure clasps and side handles, this set is perfect for any room. 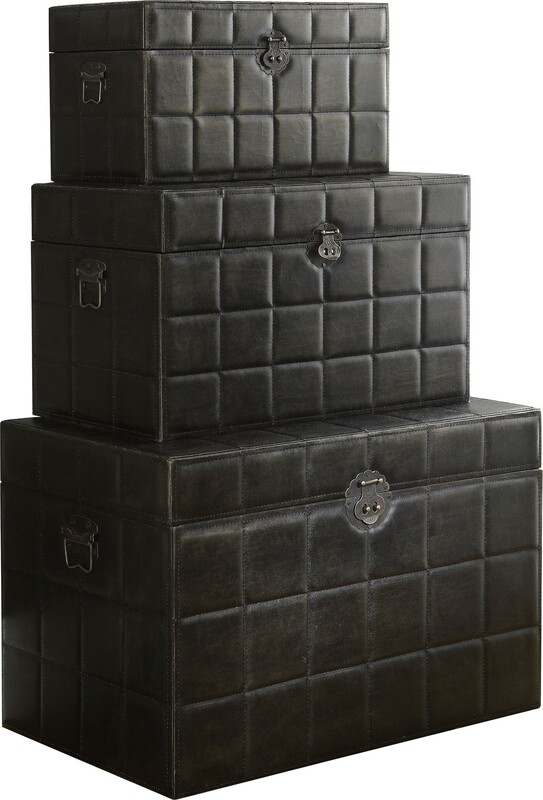 Each trunk nests neatly within the next size for space saving convenience.